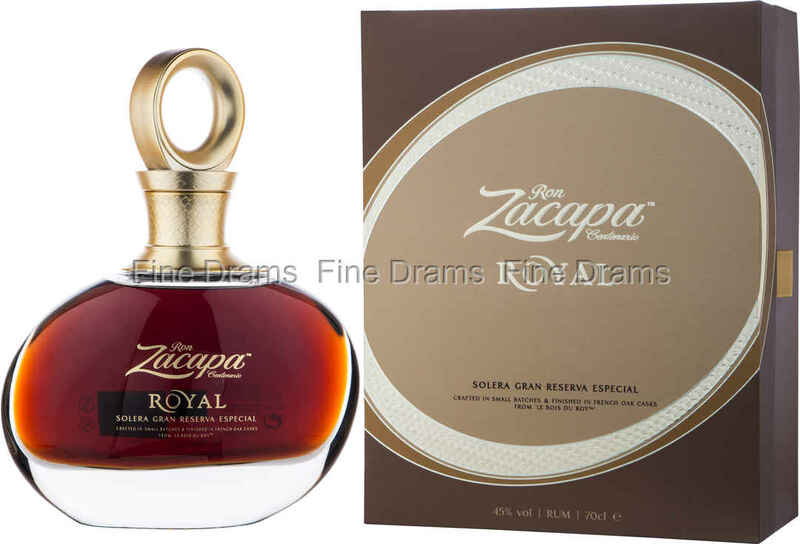 A delightfully decadent and delicious rum from Ron Zacapa. The spirit has been long aged in a Solera system, more common to Sherry and brandy production, which sees a collection of barrels maintained of differing ages. Spirit is drawn from the oldest barrel, which is then replenished with rum from the next oldest, itself replenished from the next oldest, and so on. This creates a tremendous balance of flavour, and ensure that there is some very old rum in every bottle drawn. This particular bottling is then finished in French Oak casks sourced from Le Bois du Roy (which translates as the Wood of the King – referenced by the regal title of this bottle). This ancient forestland is formed of four woods, which were protected in the 13th century by the French monarch himself. French oak is known for adding a delicious dried fruit flavour to spirits, very different to the vanilla rich American Oak, and this quality pairs fantastically well with the dense, thick flavours of the Guatemalan rum. Overall, the average age of this rum is about 30 years. Drinkers should except a luxuriously sweet and nutty spirit with highlights of orange peel. The rum is bottled at 45% ABV, and presented in a decanter style bottle with a gloriously oversized cork, and lavish presentation box. A rum of a singularly rare quality, which is unlikely to be available for long!